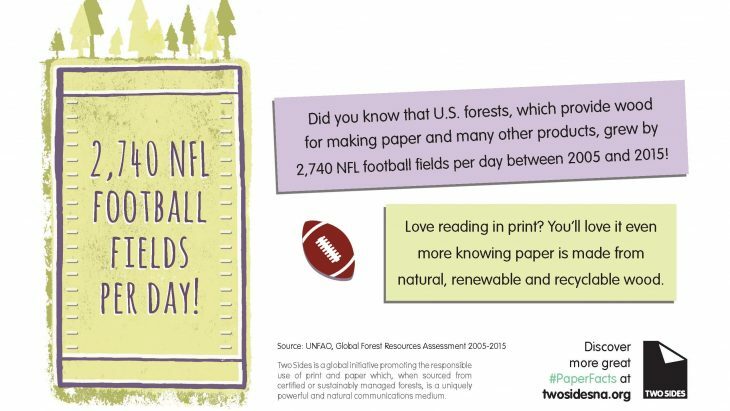 Between 2005 and 2015, U.S. forests grew by the equivalent of 2,740 NFL football fields each day. That’s a total of almost 1.3 million acres a year! In the U.S., we grow many more trees than we harvest. In fact, there are 20% more trees today than there were on the first Earth Day Celebration in 1970. Yet, our nation consumes more paper products than many parts of the world. How can this be? 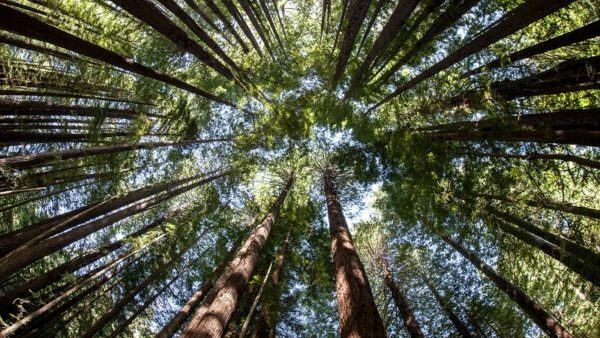 It turns out that consumption of paper and other wood products, along with sustainable forest management, is essential to maintaining this growth. You may already be aware of the importance of recycled paper products made from wood fibers. While collecting and recycling paper is great for the environment, wood fibers in recycled materials will eventually become weak and break down. Without fresh wood, recycled fiber would quickly run out and paper production would rapidly cease. As such, a continuous supply of fresh wood fiber harvested from responsibly managed forests is vital for keeping the paper life cycle going. 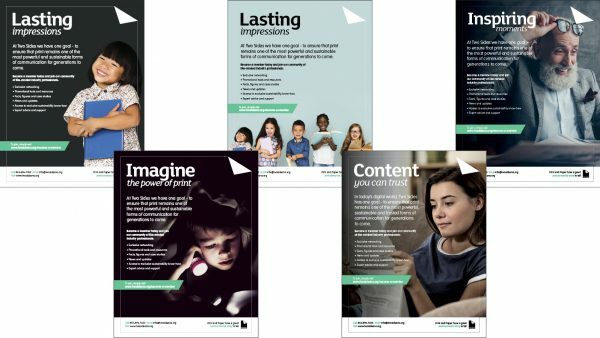 Love reading in print? You’ll love it even more knowing that paper is a natural resource that is renewable, recyclable and compostable. It’s also recycled more than any other commodity, including plastic, glass or metals. 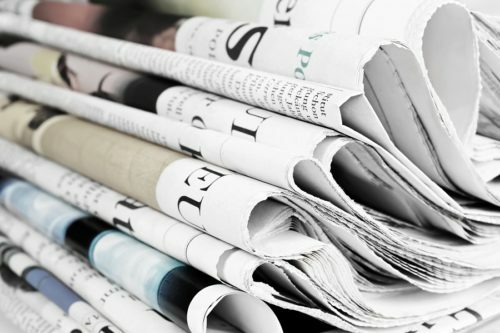 Additionally, paper plays a significant role in our cultural development, contributing to education, literacy, democracy, and the transport of goods. As you watch this year’s Super Bowl, take a look at the expanse of the football field and think about our forests that have grown by thousands of acres per day. These forests will contribute to the production of paper—one of the few truly sustainable products. 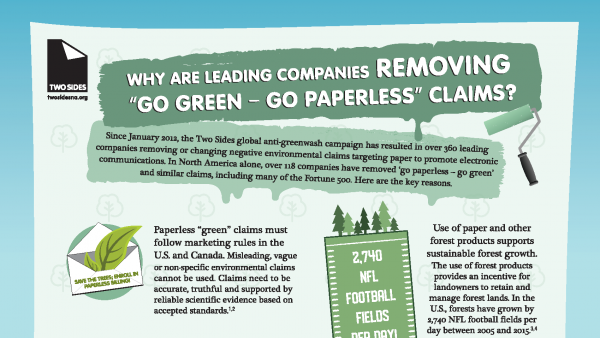 Join Two Sides to help promote the benefits of responsible forest management and access more fact-based information to dispel the myths of paper production. Join us on Facebook. (@TwoSidesNorthAmerica) and Twitter (@TwoSidesNA), and include our hashtag #PaperFacts.